The RX0 II chassis is waterproof up to 10 meters deep, shockproof up to 2 meters, and crushproof up to 440 pounds (200 kilograms) of force. It measures 2.32 x 1.59 x 1.37 inches (59 x 40.5 x 35 millimeters) and weighs 4.65 ounces (132 grams). As mentioned, the waterproof LCD panel is now 180-degrees tiltable upwards making vlog-style movie recording and selfie photos much easier to compose and monitor, as well as 90 degrees tiltable downwards. 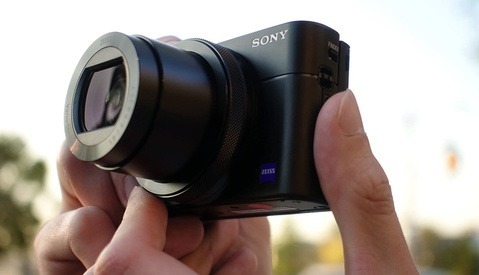 Inside, the Sony RX0 II features a 1-inch stacked 15.3-megapixel Exmor RS image sensor and BIONZ X image processor that is now capable of 4K30 internal recording with full pixel readout and no pixel binning. The RX0 II can also record Super Slow Motion up to 1,000 fps. 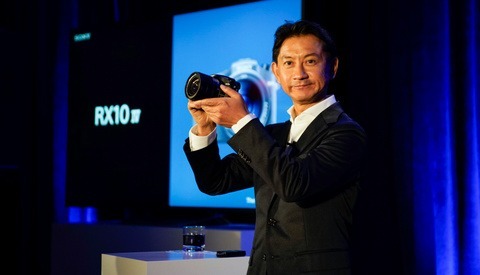 The fixed wide-angle lens featured on the Mark II design is a Zeiss 24mm f/4 and is capable of close focusing up to 7.87 inches (20 centimeters). The ISO sensitivity range runs from 80 to 12,800. New to the RX0 II is in-body image stabilization, although it is only electronic rather than optical. The anti-distortion shutter is capable of 1/32,000 second exposures up to 16 fps. Sony RX0 II sample images. The Sony RX0 II is priced at $698 and will begin shipping next month in April 2019. Preorders begin on B&H at 10 a.m. ET, Thursday, March 28. I literally thought it was an April Fools thing when I saw the flip up screen. I think the camera is pretty neat, it's the price that is a joke. I really like Sony camera, but the RX0 was SUPER underwhelming, this one seems have expanded on it a bit, but still. I woke up this morning and my entire recommended feed was filled with these lol....honestly I hardly ever watch camera reviews (i have no need for a new camera), but there we go. Every week there's a big influencer push on some new camera. These flip screens for vlogging appears to be the only thing camera companies are addressing these days since every new camera that comes out is titled "best new VLOG camera?" lol. That's not a dig, just an observation. I appreciate reading this review Ryan. My observation with the RX0 was that much hype out the gate, then ... NOTHING. Nobody seemed to be using it really. Kai did a pretty funny review on this with a little added functionality...it's funny how quickly the kit can get built out for proper vlogging. I saw Kai's review. Holy crap that rolling shutter was insane! Ya Sony hasn't quite nailed fixing that on their cameras yet. I agree and while these look like decent improvements feature wise, I was really disappointed by the quality I got out of the first RX0. The noise above ISO 400 was unusable. Getting critical focus was impossible. This looks slightly better for focusing but until I see some tests I'm highly skeptical that the image will be usable on a professional shoot without perfect lighting conditions. Vertical video for IG stories. the self-absorbed videots will love it! The amount of salt in this thread is actually pretty stunning. The group of artists that are pretty technologically savvy, it's amazing how in-depth the modern fstoppers Community is to Modern Technologies and how willing they are to demonize it as soon as something comes out, especially when it's Sony. 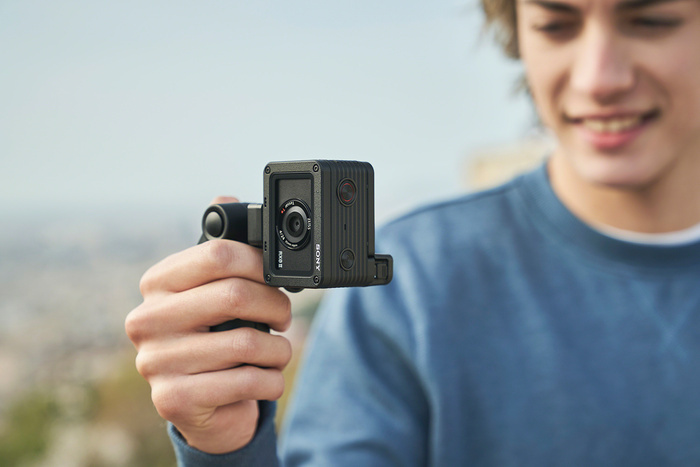 Personally, I think this camera sounds amazing for younger generation of photographers that are constantly vlogging, or participating in social media and making short films for themselves and their audiences. 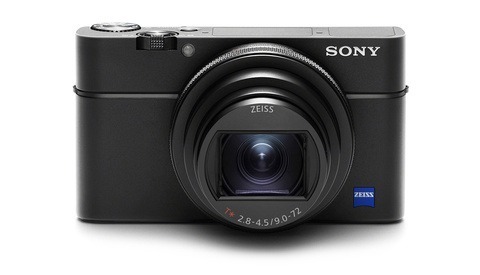 Heck, even I'm considering at least renting this to at least try it out, it looks like a pretty cool camera. I completely reserve the right to think that it's a bad camera after I rented in try it, and will gladly change my opinion on it after I give it a go, but to see her and say that this camera is useless, or these new iterations can't necessarily be good, is an old man mentality of sitting on his porch and screaming get off my lawn.